I have a lot to say about travel gear because the majority of my travel assignments require air travel. Everything you can do to lighten your load and make your trip run smoothly makes it a more enjoyable experience. So I’ve written a couple pages about travel gear. This one is about travel bags, travel clothing and packing advice. When a magazine editor accepts your story proposal and you’ve landed a travel assignment, you need to follow up by visiting your destination. This needs to be done as soon as is convenient. 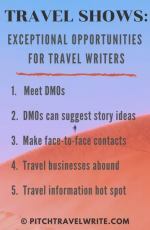 It’s time to do the one thing that travel writers love as much as writing – and that’s travel! In my dreams I’ve thought about traveling without anything except the clothes on my back. 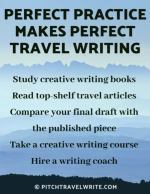 Seasoned travel writers do carry next to nothing but what you carry will depend upon the length of your visit, the season, what you need to do while you’re there and your destination. Definitely if you’re just taking a trip in your local region and you can pack up your car, you’ll be able to take all those “just in case” sorts of travel gear. When you’re flying it becomes a lot more critical to think seriously about what you need to carry with you. Let’s face it, lugging around heavy suitcases, a full sized backpack, plus a computer bag will make air travel miserable. You’re worn out by the time you arrive at your destination just from hauling all that stuff through baggage check and security. And these days the more you check through security the more it costs, so that’s one more reason to keep it simple. So my first advice is, when in doubt, leave it out! I try to carry on as much as I can and not check any bags if I’m taking a trip short than a couple weeks. In this U.S. this is doable although you will always want to check the guidelines for your airline. Outside of the U.S. it’s usually necessary to check your larger bags. What do I carry? I use a small travel bag on wheels that fits the carry-on requirements (14” x 9” x 22” at this writing) and, if possible, I stuff an empty backpack or small shoulder bag on top, for daily use once I arrive at the destination. Besides this piece of lightweight luggage, for my second carry-on I bring a laptop. If I’m going on a longer trip, I’ll check either the same size bag as above or a slightly larger one, and carry-on my laptop and a small backpack. In either case, you want to carry-on any electronics (camera, laptop, iPad, etc. ), all medications, and other small items of importance. Winter clothing is bulkier than summer clothing, so you may need a larger suitcase for your cold weather travel. My wife simply wears her bulkiest clothes on the plane so that she can reduce the amount of suitcase space needed. Make sure your suitcase is expandable, and has several pockets inside and outside, and that the handle and roller wheels are durable enough for rough handling. I don’t carry expensive, branded suitcases. It’s not my style and I prefer to blend into the scenery instead of standing out. Also, you may be going to remote, rugged areas with plenty of mud, water, dirt, and who knows what other conditions, so a durable suitcase that does not advertise its contents is your best bet. Also, thieves usually prefer to go after someone with a deluxe suitcase and tend to leave your tattered baggage alone. Along with a functional, maybe slightly battered suitcase, my travel gear includes well-worn, neutral colored clothing (khaki, cream, brown, green) for daytime use. I don’t wear designer clothes because I’m not trying to make a fashion statement. Nor am I trying to call attention to myself in any way. Sometimes my favorite travel clothing - shirts, socks, and underwear - are near the end of their lives and I’ve been known to trash them at the end of my trip. If you are traveling to a destination like almost anywhere in Asia, clothing is very inexpensive and you will not need anything but the basics. You can pick up additional clothing in the local markets for a few dollars if you decide you didn’t pack enough clothes. If your destination has a tropical climate, pack only lightweight, breathable clothing and a couple of pairs of shorts. Despite the popularity of microfiber clothing and other types of artificial materials, I still prefer thin cotton. It’s breathable and does not overheat as these other materials do. My wife will disagree as she has found some amazing new travel fabrics that are lightweight and comfortable to wear. When it comes to comfortable shirts that aren’t made of cotton, I’m still looking. The downside to cotton clothing is that it is heavy for travel and takes a long time to dry. Microfiber and other artificial fabrics can be hand-washed in a sink and dry very quickly. So, you’ll have to decide what materials work for you. In the past year I have been wearing long rip-stop hiking pants made of nylon, polyester, or polyamide, that zip apart at the knee into shorts, and I’m having great success with them. They dry quickly and fold down into a very small size in my suitcase. I truly love traveling with these pants and have given up carrying my heavy cotton shorts. For outdoor and adventure activities, these artificial materials are fantastic. And using them will keep your packing weight down since most of them are very light. Finally, in keeping with my mantra of looking inconspicuous and not worth a second glance by potential thieves, I do not wear any jewelry on my travels, except for a wristwatch with a plastic wrist band. In some countries wearing jewelry is like wearing a flashing neon beacon that will attract the attention of thieves, pickpockets, or worse. Plus, it’s really easy to lose it or leave it behind by accident in your hotel room. Leave your jewelry at home, it's not travel gear. Typically, before you leave home you will have an itinerary for your travel while you’re at your destination. Pack enough daytime gear for 2-3 days and plan to rinse out items at night if you’re taking microfibers or other artificial fabrics. I usually pack one pair of long pants, one pair of shorts and 3 shirts for a weeklong trip. If you will be doing any formal dining or attending a concert or show in the evening, then pack one set of more formal clothing. A nice button-down shirt with a collar and a pair of trousers is all that a man will need. Women like to take more clothes, but I strongly recommend only one dressy outfit for women, too. Wear it more than once, if needed. Two things I never pack: a blazer and jeans. They’re heavy, take up considerable space in your suitcase and are difficult to launder, so leave them at home. Shoes are space hogs in suitcases, so I wear one pair of sturdy walking shoes and do not pack any other footwear, unless something is specifically needed for hiking or a formal function. 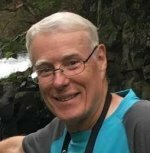 My wife prefers a little more selection and packs one good pair of walking shoes plus a lightweight pair of ballet shoes or sandals, depending on the weather and the destination. When it comes down to it, after walking several miles each day on cobblestone city streets or along muddy trails, it's what’s between you and the road that matters. Footwear with inadequate cushioning cause undue fatigue and sore legs, so wearing your most comfortable walking shoes is most important. If you’re going to a sunny location, be sure to take a good travel hat that can be scrunched up into your suitcase. I wear the traditional Tilley canvas hat, which is very comfortable, keeps my head cool, and provides enough shade to stop me squinting when I’m taking photos or sightseeing. I put my Tilley hat through the wash after every trip and it still looks great. So that’s the basic travel gear to take along on your assignments when you’ll be traveling by air. It doesn’t hurt to travel like this even if you’re staying in your own local region and driving. Lugging heaving travel bags is not my idea of a good time, and it’s probably not yours, either. Pack light and enjoy your trip.